Given the ever-growing complexity of automobile technology, and in particular modern-day brake systems, it’s kind of amazing that the humble brake pad is such a crucial component to the safe operation of any vehicle. Each wheel of your vehicle is connected to a brake rotor (pictured above). Pressing your foot down on your brake pedal causes the brake caliper (that red clamp you see in the photo above), to squeeze the rotor, and slow down your vehicle. Brake pads (pictured below) provide a strong degree of buffer between the pistons of the brake caliper and the rotor. They resemble sponges you’d by at the grocery store, but they’re incredibly tough and absolutely essential for safe braking. Over time, regardless of how often you drive your vehicle, the brake pads will wear out. This is why scheduling regular brake check-ups and maintenance is so important. We recommend you have your brake pads and brake system checked annually by a professional auto mechanic. If you drive frequently, having your brakes checked every three to six months is not a bad idea. Take a look at your car or truck owner’s manual to see how often the manufacturer recommends you check your brakes. You may be able to check your brake pads on your own, so long as they are clearly visible and you know the indicators of a worn brake pad. That said, having a professional inspect your brake pads, rotors and system will provide a much more comprehensive overview and flag any potential issues you might not be able to spot on your own. If you hear a horrible, metallic screech when you brake for a red light, stop sign or one of Houston’s many pedestrians, take that as a sign your brake pads are worn out and need to be replaced as soon as possible. What’s happening is that the metal of your brake caliper is making contact with, and causing damage to, your brake rotor. Before you start hearing strange sounds when you brake, bring your vehicle to Colony One Auto for an inspection and maintenance by one of our certified technicians. 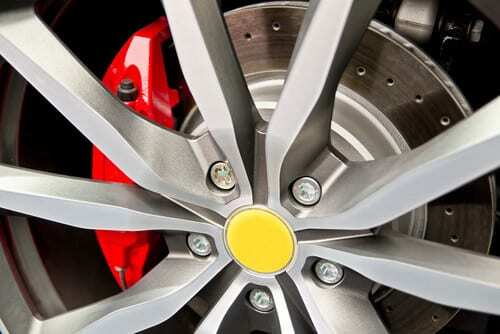 We provide complete diagnostics on conventional service brakes, as well as anti-lock brake systems. Drive safe!